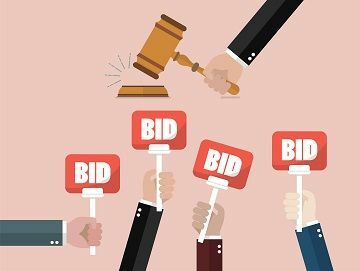 Many advertisers consider bidding on competitor terms an easy win, especially if they are unmarked and the truth is, it can be. It is after all your most valuable search engine traffic, consisting of mostly new or existing customers. Whether rightly or wrongly, Google (and other search engines) allows competitors to bid on each other’s brand terms. This means technically your competitors could keep it up forever, and if left unresponded to, they will end up taking a significant share of your valuable traffic. So if you find yourself on the receiving end of competitor bidding, what can you do? The good news is there are several things, and once done, you may find your competitors take down their ads, or alternatively you make it less attractive for them to continue. If you have not started bidding on your own brand terms already, this is your reason to start, and not only on Google -check Bing too. Take back control of what your potential customers see when they search for your brand, wherever they search. Beating competitors on home ground won’t be a problem. You should be able to instantly claim position 1 on your brand terms, and achieve a quality score of nine or 10. As a result your cost-per-click will be lower than your competitors, usually very cheap, and by being in the auction, their CPCs will in turn increase significantly. If you don’t have a quality score of nine or 10 on your brand terms, improving this should be a priority. It will reduce your CPC and is definitely achievable. After all, what could be more relevant to your brand term, but your brand! If you are unsure how to, read this article on how to improve your quality score. A high quality score will ensure you are in position one all the time, with 100% search impression share, ensuring you swiftly win at your own brand terms. You can see here how Ralph Lauren dominate the ads for their search terms, whereas Wrike are taking Trello’s top spot. If you have a trademark and your competitor is using it in their ads, submit a trademark complaint and Google will disapprove their ads. If authorized to do so, agencies can do this on behalf of the trademark owner. There is a strong possibility your competitors either won’t notice their ads have been disapproved, or won’t realize they can still bid on your keywords, meaning they stop appearing for your brand terms. A kind of win by default, but a win nonetheless! If your competitors already have ads without your trademark in them, or they produce them after the complaint is successful, there is a small win here nonetheless. They cannot use your trademark in their ads and so their quality score will suffer, and their CPCs will be notably higher than yours as a result. Reaching out to competitors and asking them to remove their ads obviously does not always work, and you might rightly assume your competitors will never remove their ads, but in any case, the worst outcome from reaching out to them is that they ignore your email or say no. Given that, surely it is definitely worth a try, you never know, you might be surprised. I’m Anthony, Chief Marketing Officer at the Cool Company. I just wanted to know if you would consent to withdraw your Adwords ad on our brand queries (see image attached). It would be a shame to have to bid on each other’s names to get traffic to our respective websites. Please let me know if you agree with this request. It worked; our client appreciated the polite outreach, and asked us to turn off our ads bidding on “cool company” terms. The email is simple, but the solution is attractive to both sides. This is the last option here, and last on purpose because frankly it is not an attractive one. Reacting by launching ads on your competitor’s brand terms is unlikely to end well. At best, it encourages them to take down their ads on your terms, and so done well this could work. However the more likely outcome is that you start a bidding war, with rising CPCs on either side as both parties grapple for control over the other’s terms, all to no one’s benefit except Google. Who by the way, loves it! If an initial email is ignored, it might be worth dipping your toes into your competitor’s brand terms and reaching out again – this time with evidence as to why it is worth both parties stopping, which is mostly avoiding that bidding war. They should notice their CPCs increase as you start bidding on their terms. Competitors bidding on your brand terms is allowed and so potentially unstoppable. However if it happens to you, there are several steps you can take to minimize, if not remove, this risk. Firstly, make sure you dominate your brand term ad space before reaching out to discuss with your competitor. It is in both parties’ interest to avoid competing brand ads spiraling out of control. Sam Martin-Ross is the Founder and Managing Director of Digital Uncut, a PPC & SEO agency based in London.